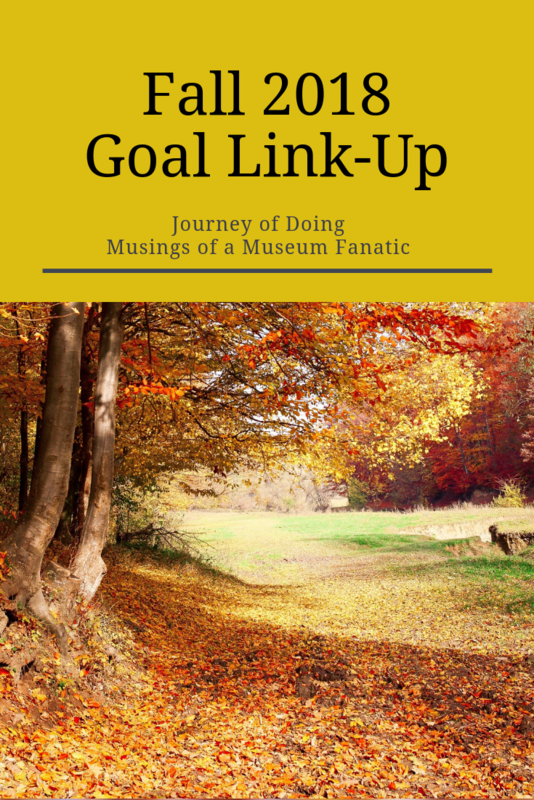 Musings of a Museum Fanatic: Fall Goals - Link Up Friday! It's just about that time again! Friday Sara and I will be doing our fall goals link up. So start thinking about what you'd like to accomplish this fall with us. I know I've already got my list started. Can't wait to see what everyone is going to working on this fall. Be sure to grab the button and link up on Friday!